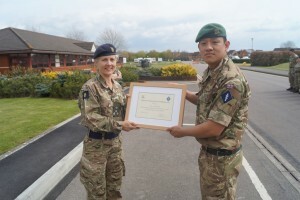 14 Squadron, Allied Rapid Reaction Corps (ARRC) Support Battalion’s Sgt Ganesh Rana Magar (Queen’s Gurkha Engineers) and Cpl Nischal Rai (GSPS), have been awarded a Brigade Commander’s Commendation from the Commander 1st Signal Brigade, Brigadier Sharon Nesmith for their excellent work in Ex ARRCADE FUSION 15. Both of them deployed during Ex ARRCADE FUSION 15, which led by 3* HQ for more than 3 months in Latvia and Lithuania. 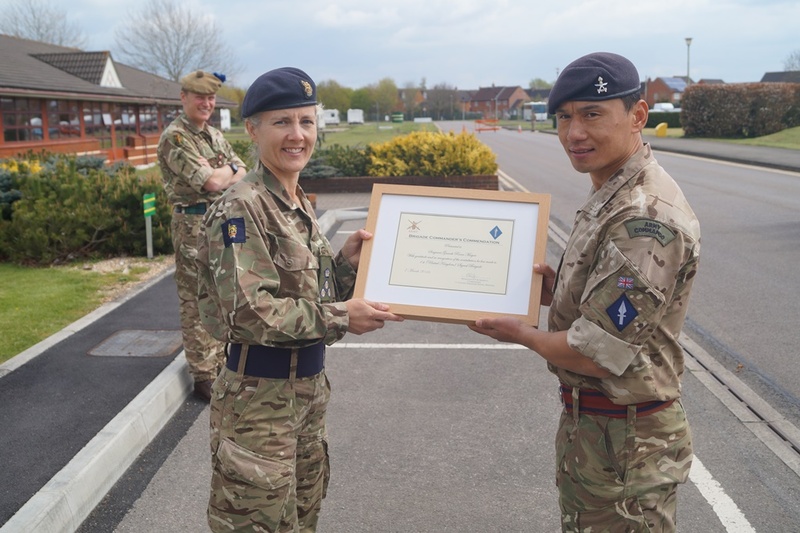 Sp Bn HQ ARRC is made up of 248 people around 200 personnel for the Ex ARRCADE FUSION 15.